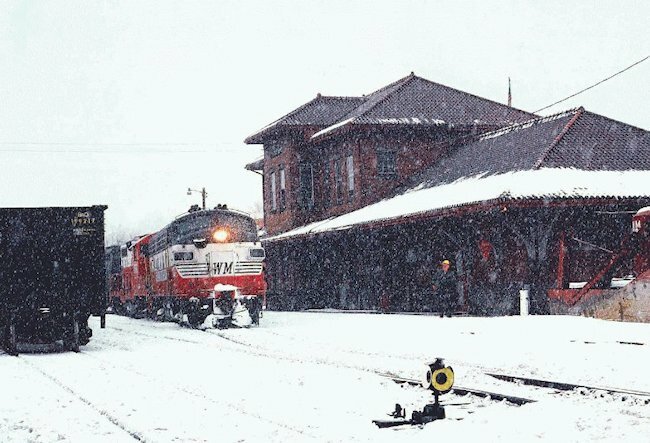 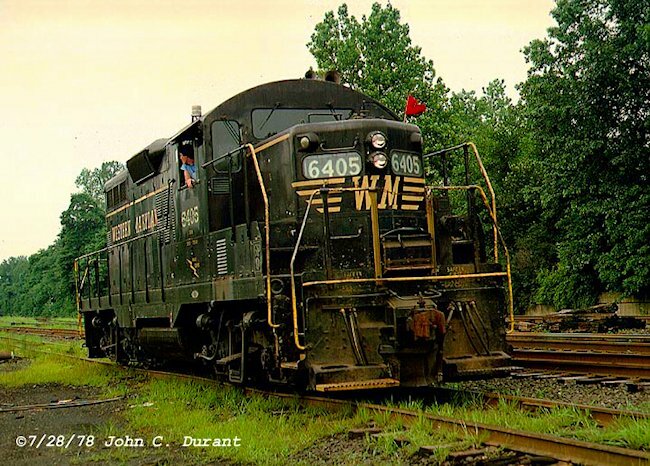 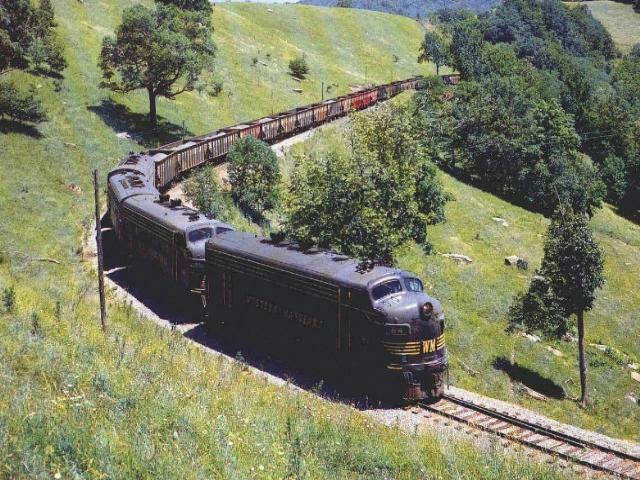 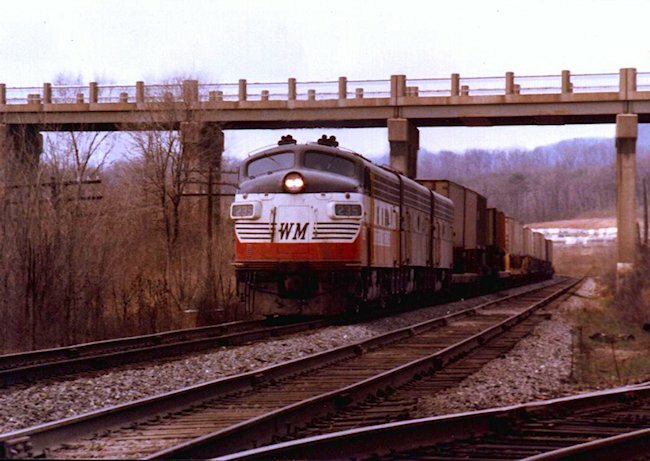 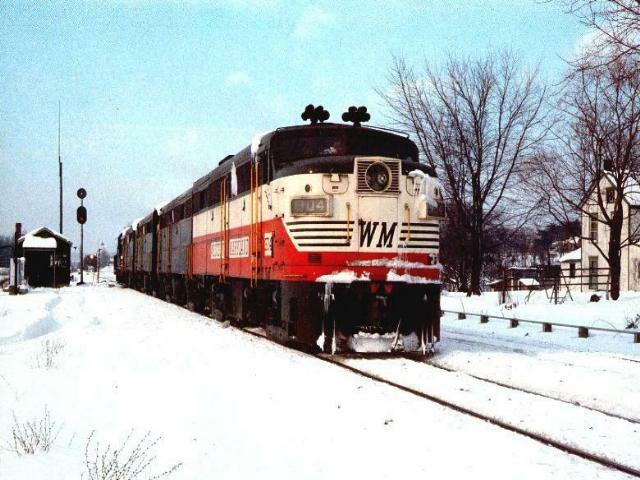 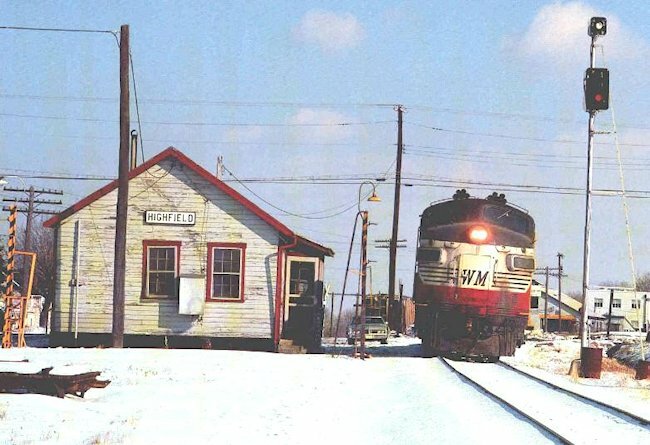 WM #60-#414 & #411 on coal train. 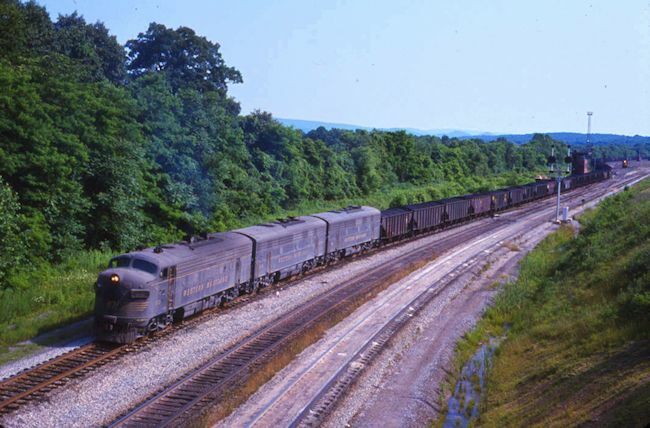 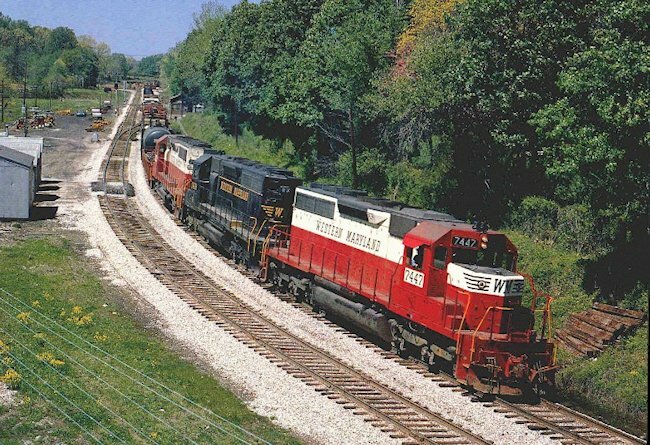 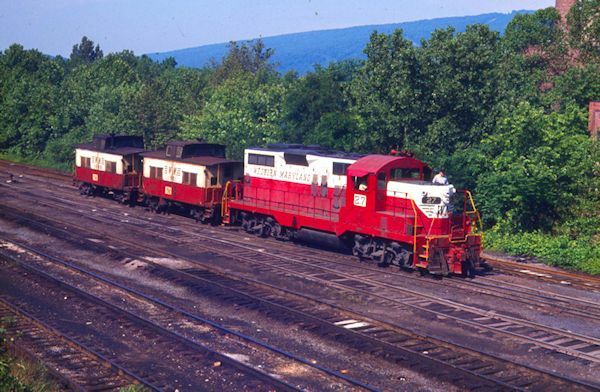 (149 cars for B&O at Cherry Run) backing into East end of Cumberland Yard, Mexico, Md. 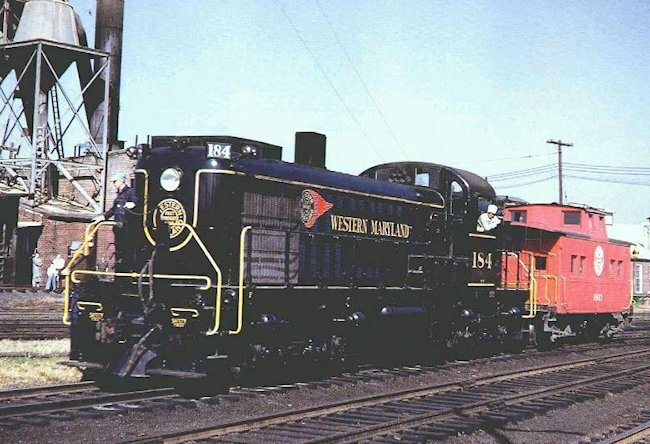 6/21/75.